Atlantic Solicitors is a dynamic law firm that delivers a wide range of legal services for both its corporate and private clients. We are a leading law firm with head office in the Royal Borough of Greenwich with branch offices in Milton Keynes in the Midlands and Chelmsford in Essex and an affiliate office in Lagos, Nigeria. We started out as a two-partner firm and have become a household name winning awards. We have a reputation as highly competent lawyers among our peers and with the judiciary in several courts and tribunals. The firm won an award from the ‘Good Lawyer Guide’ for ‘Outstanding Legal Practice’ in 2012 and won another award for “Excellence in the provision of Legal Services” in 2016 from the Gathering of Africa’s Best “GAB” Awards. We offer our clients the best legal advice aimed at finding the best solution to their legal issues and transactions. We offer reliable, timely, cost-effective advice and personal and friendly service to our clients and we take pride in the confidence and trust that they have in us. We are guided at all time by the principle enunciated in the Guide to Professional Ethics of Solicitors: to act in the best interest of the client always while balancing this with our duties as officers of the law. In operating a policy of direct partner involvement in client matters and a system of regular review, we ensure that all clients are provided with top class service and that all matters are handled in an efficient and cost effective manner. Effective communication is key to our client relationships, which has helped us to focus on our clients' aims and objectives. By developing real understanding of each client’s business and building a strong working relationship with them, we can play an effective role in shaping their strategic and financial plans. We are staffed by partners and solicitors who are experts in their chosen fields. Our solicitors and firm are regulated by the Solicitors Regulation Authority, and belong to various professional bodies such as the Chartered Institute of Arbitrators, Immigration Law Practitioners Association (ILPA), and the Nigerian Bar Association among others Association among others. The areas of law we cover include: Corporate/Commercial Law, Residential and Commercial Conveyancing, Immigration Law, Employment Law, Landlord and Tenant Law, Family Law, Civil Litigation, Debt Recovery, Charity law and Arbitration, among others. The breadth of experience and expertise of our specialist teams coupled with our resources ensures that we can successfully manage and smoothly drive forward transactions on schedule. Our track record speaks for itself as evidenced by our high percentage of repeat business. To expand our services globally, we work with other lawyers both within and outside the U.K, to achieve the best results for our clients. We invest in developing specialist industry knowledge in our staff, so that they can combine legal skill with genuine understanding of the individual markets in which our clients operate. In this way, we provide real support for our clients in achieving their goals. As part of our corporate social responsibility, we contribute our quota to the society by providing free legal assistance to some of our clients on pro bono arrangements in circumstances where they are unable to afford legal fees. Our aim is to provide each client with advice that adds value to their business. Our approach is to apply the highest levels of knowledge, technical skill and service delivery method allowing us to provide accurate, reliable, timely and cost-effective advice across a range of industry groups and sectors. Our strong teamwork ethic and practical "can do" approach to solving problems ensures a seamless, effective service. We identify ourselves with our clients' needs and work with them to help achieve their goals. We operate a policy of direct partner involvement in client matters and a system of regular reviews to ensure that all clients are provided with a top class service and that all matters are handled in an efficient and cost effective manner. Effective communication is key to our client relationships, helping us focus on our clients' aims and objectives. By developing real understanding of each client’s business and building a strong working relationship with them, we can play an effective role in shaping their strategic and financial plans. Our lawyers handle a wide range of work so that clients benefit not only from depth of legal knowledge and expertise but also from our experience. We appreciate that our clients operate in a constantly developing legal environment thus requiring legal advisers who can help them meet new challenges. We invest in developing specialist industry knowledge in our staff, so that they can combine legal skill with genuine understanding of the individual markets in which our clients operate. In this way, we provide real support for our clients in achieving their goals. Our commitment to our clients goes further than simply responding to today's issues. We take a pro-active approach in helping them prepare to meet what lies ahead: both the challenges and the opportunities. As a dynamic law firm delivering an integrated service, with expertise in the above fields, we are able to offer our clients legal advice aimed at finding the best solution to their legal matters and transactions. We offer our clients a personal and professional service and we take pride in the confidence and trust that they have in us. 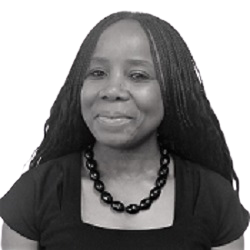 Dele Odusanya is a solicitor of England and Wales with over 20 years PQE experience in General Legal Practice in the UK, with special interests in Immigration, Conveyancing, Civil Litigation, Commercial and Charity Law. He previously qualified as a Solicitor and Barrister of the Supreme Court of Nigeria and is a member of the Nigeria Bar Association. He has accumulated experience of law practice spanning over 25 years. He has previously worked with other reputable law firms and Institutions in England and other Common Law Jurisdictions in the capacities of Director, Law Lecturer and Head of Legal Departments. Some of these organisations include Duncan Lewis, TASMAC, London School of Business & Finance, London College of Advanced Studies, and London College of Executive Training. 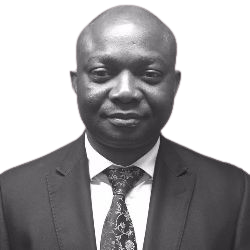 Dele is one of the founding partners of Atlantic Solicitors and is currently the Managing Partner with a track record of delivering bespoke legal services. He has also been actively involved in Pro bono services, contributing his quota to the firm’s local community. Nancy Katambala is a multi-lingual Solicitor of England and Wales with over 10 years post qualification experience. She prides herself in providing exceptional client focussed services. Her areas of interest and expertise are in the fields of Immigration, European Union, Human Rights, Civil Litigation Law, Judicial Review challenges & Family. Nancy has a multi-jurisdictional background with experience in both English Common Law and Continental European Civil legal Systems. She is currently the head of the Family Law department at Atlantic Solicitors. Her multi-cultural and linguistic background enables her to provide client focussed services to individuals from diverse ethnic and linguistic backgrounds. Nancy has considerable experience in representing clients at court and tribunal hearings. She speaks Fluent English, French, Lingala and basic Dutch. 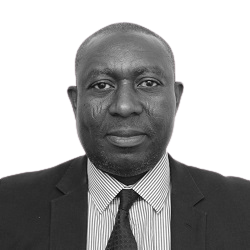 Victor Uhumwangho is a solicitor of England and Wales with over 10 years Legal experience in both the public and the private sector. His areas of interest and expertise include Civil Litigation, Criminal Litigation, employment, Children, Charity and Licencing law. 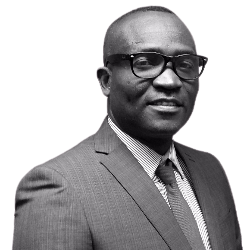 Victor Uhumwangho has a strong practice and advocacy experience in multiple Common Law Jurisdictions spanning over 23 years and is a member of the Nigerian Bar Association. Victor Uhumwangho brings a unique personal and professional touch in securing satisfactory outcomes for clients. Victor is currently the Head of Atlantic Solicitors' Civil Litigation Department. 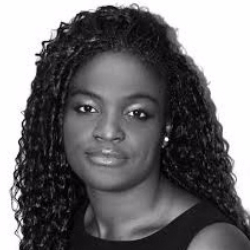 Oworitse is a solicitor with over 18 years post qualification experience in the UK, having been enrolled as a Solicitor of the Superior Courts of England and Wales in 2000. He was called to the Nigerian Bar in 1991 and has substantial practice experience in Nigeria and can advise on Nigerian law. He has been undertaking Conveyancing work for more than 15 years and was a solicitor, and later partner and head of Conveyancing in several firms in London before joining Atlantic Solicitors as a consultant. He has a very wide experience in conveyancing matters, both residential and commercial. Oworitse also undertakes shipping work and he is an Associate member of the Chartered Institute of Shipping of Nigeria (CISN). He has sound knowledge of shipping law and practice and can advise both vessel owners, charterers and cargo owners on shipping law matters. He is an Associate Member of the Chattered Institute of Arbitration and undertakes shipping arbitration both on behalf of vessel owners and charterers. Soji Soda is currently a duly qualified Solicitor of England & Wales with over 10 years legal work experience gained from reputable Law Firms in London and Sheffield. He possesses a general legal background which includes Immigration, Conveyance, Family and Litigation. Soji's area of expertise is in the field of Immigration Law and he is currently the head of the Immigration Department at Atlantic Solicitors. He is very passionate about Immigration and has constantly followed up developments in areas of UK Immigration Law which pertains to Human Rights, European Union law, Asylum, Deportation and Point Based System (PBS). 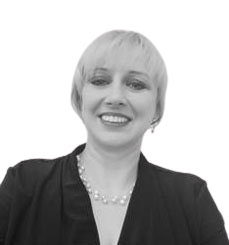 Zondy Broxup brings more than 12 years of experience working as a Solicitor with leading law firms in London and St Albans. Heading up our offering in the Chelmsford Office as an Associate, she is ideally placed to help clients living in Essex, Hertfordshire and London. Zondy advises on all aspects of Immigration, Human rights, European Union and family law. She has acted for a wide range of clients from private individuals to companies. Zondy is strongly recommended for her clear, pragmatic advice and her ability to quickly get to the heart of the matter. She is able to explain clearly what the issues are and what strategies should be put in place. Her successful management of cases is welcomed by clients who appreciate her supportive and sympathetic approach to their emotional needs and practical problems. Zondy is dedicated to providing an excellent client service and cost effective solutions. Clients also comment on her unfailing courtesy and good nature. Odeta Malinauskiene is a multi-lingual Paralegal/Case worker with over 20 years of international experience in the field. She prides herself in providing exceptional client focussed services. Her areas of interest are in the fields of Employment, Immigration, European Union, Family, Civil Litigation and Continental Law. Odeta has a multi-jurisdictional background with experience and knowledge in both English Common Law and Continental European Civil legal Systems. Her multi-cultural and linguistic background enables her to provide client focussed services to individuals from diverse ethnic and linguistic backgrounds.